Has Volkswagen unveiled its new pickup truck? Yes. Is it named after a mythical giant man-eating wolf? Absolutely. Volkswagen not only gets points for its elegant structural designs, but also for its creativity in car namesakes. 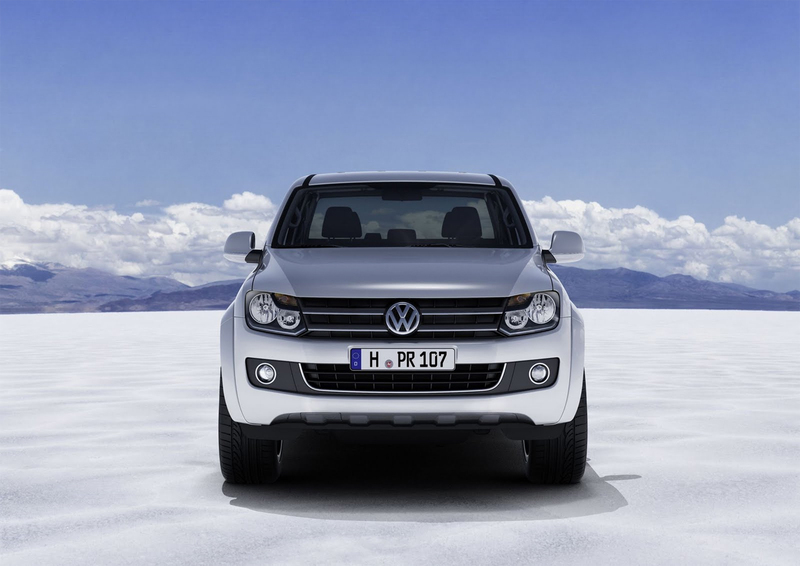 The VW Amarok pickup truck is the fourth model series of the Volkswagen Commercial Vehicles brand, and it is also the first 1-tonne class pick-up to be developed in Germany. 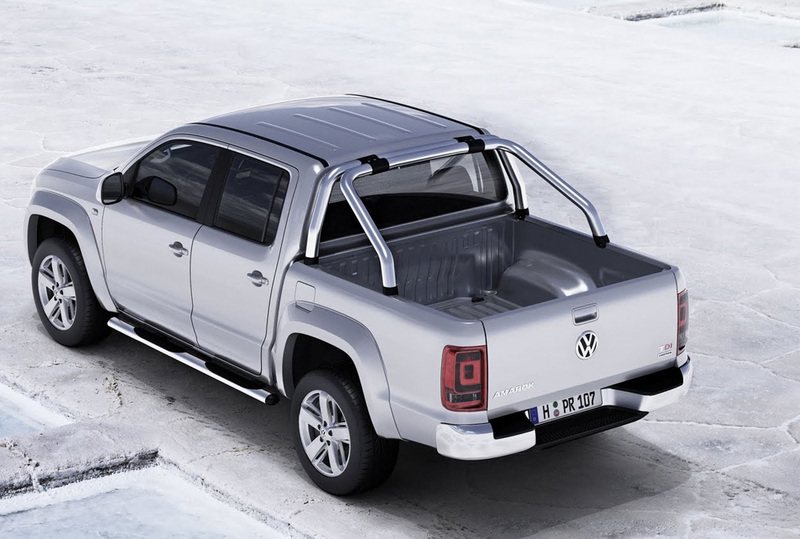 The Amarok will be launching worldwide in 2010 as a four-door version with “double cab,” while a “single cab” will debut in the first half of 2011. Don’t be fooled by VW’s sleek image and stylish reputation—this truck was named after a mythical murderous wolf for a good reason—the Amarok can haul 2,300 pounds and tow nearly three tons (5,600 pounds) when equipped with VW’s 2.0-liter common-rail turbo diesel four-cylinder that’s good for 163 hp and 295 lb-ft of torque. 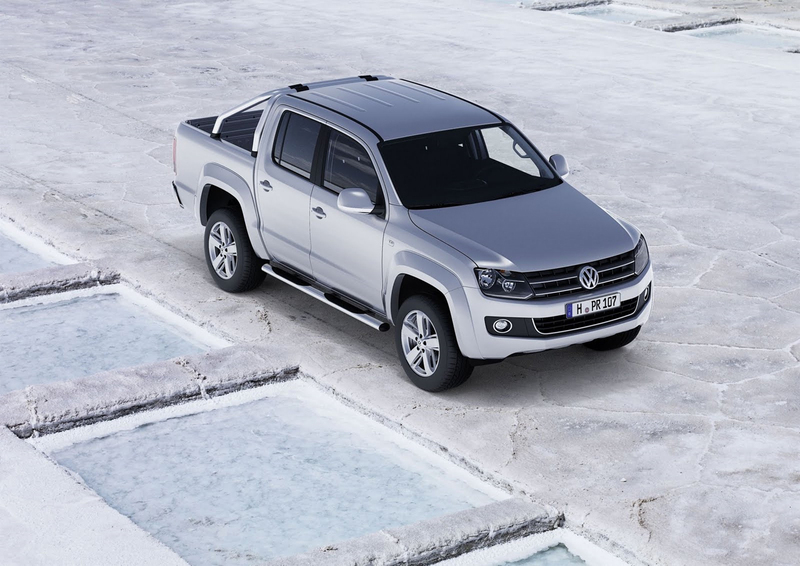 Now ready for some sad news: The Amarok is rumored to only be available in Europe, South America, Asia, Africa or Australia. Hopefully 2011 will bring the legendary wolf truck our way, but as for now these pictures will have to suffice.